Teen Sofie Carfaro Creates Her Own Theater Company | One to Watch | Kids VT - small people, big ideas! Sofie Carfaro's leather blazer, black-rimmed glasses and long dark hair make her seem older than her 16 years. So do her professional ambitions. 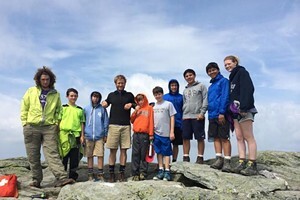 The Mount Mansfield Union High School junior aspires to direct and produce creative works on the stage. A year ago, when she was a sophomore, she founded the Inconceivable Theater Company to start progressing toward that goal. Its name isn't a reflection of her chances of achieving success — it's a reference to Vizzini's often-quoted line from the 1987 cult classic The Princess Bride. In fact, all of the things he labels as "inconceivable" do actually occur. 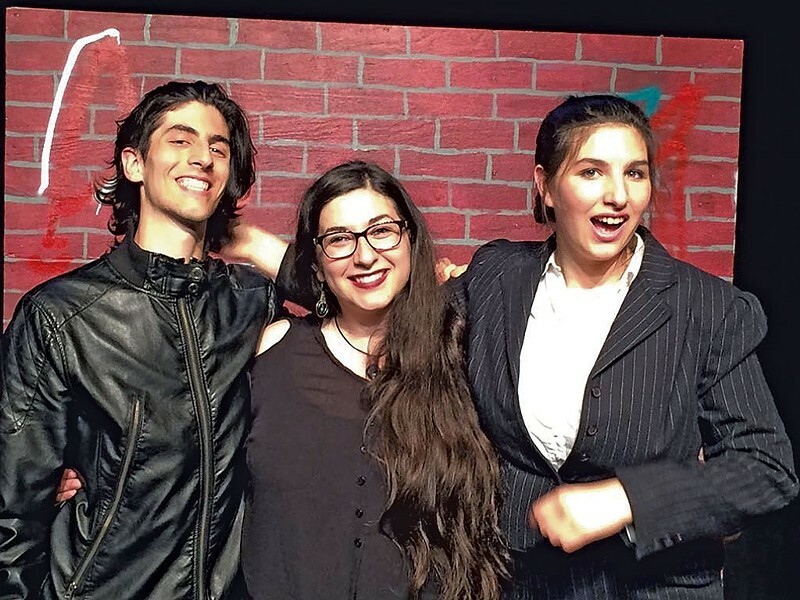 If not inconceivable, the company's first show was unconventional: Using a cast and crew made up exclusively of local high school and college students, Sofie mounted a production of Dr. Horrible's Sing-Along Blog. The musical originated as a web miniseries developed by Buffy the Vampire Slayer creator Joss Whedon and starring Neil Patrick Harris. Sofie chose it in part because she thought a friend of hers would be perfect in the title role. The Inconceivable Theater Company staged three performances this past August, at the Black Box Theater at Burlington's Main Street Landing Performing Arts Center. Sofie raised $1,500 for the set, props and costumes through a crowdfunding website. She collected an additional $850 in audience donations at the shows, which went to the nonprofit Women Helping Battered Women. In Sofie's estimation, both the process and the final product were a success. "I was blown away by how much work a bunch of people put into it," she says. After the show, friends and strangers approached her about taking part in her next production. Sofie has already selected her follow-up show, but she's keeping it under wraps for now. What she can disclose is that it will be longer than this summer's approximately 40-minute performance, and it's "something that's not traditionally a stage show." She'll fundraise for the show this winter and spring and stage it next summer. Sofie says she's "always been one of those kids who liked singing." And she comes from a theatrical family — her dad toured as an actor before his kids were born. But it was a dynamic music teacher at Camels Hump Middle School, Heather Schoppmann, who first gave her an outlet to explore theater. Though she's dabbled in acting, Sofie says the producer/director role fits her "take-charge but logical and creative" personality best. "It was something I was always aspiring to," Sofie says. "But when you're young, people say, 'Wait a little bit ... try things out.'" The success of her show last summer gave Sofie the confidence to continue pursuing a career in the field. The Richmond teen hopes to major in theater in college. But not before taking a gap year so that she can travel and study international art forms, such as Italian opera and Russian ballet. Ultimately, she'd like to move to a city where she can produce and direct on a bigger stage. She won't forget her small-town roots, though. "Maybe some of these connections from right now will pay off then," she says.